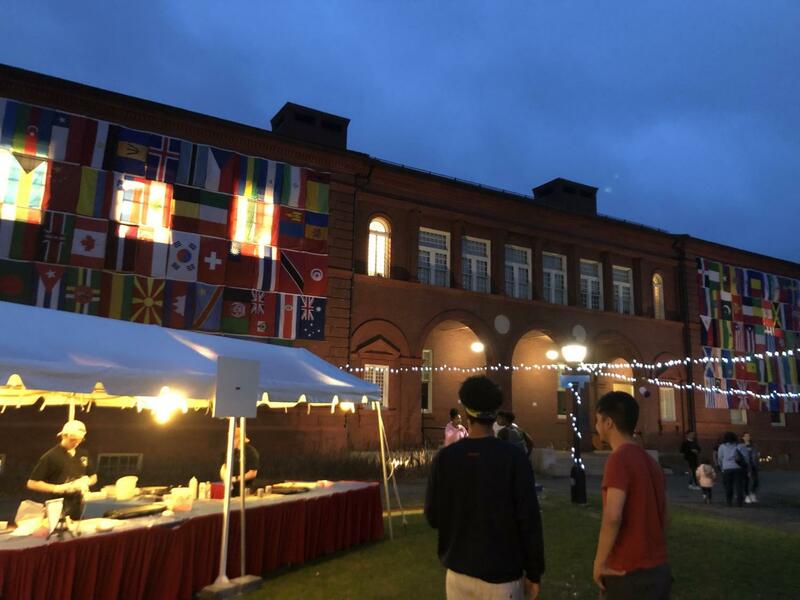 On Sunday, Amherst College hosted the City Streets Festival, a one-day celebration of food, music and entertainment from different nationalities around the world. The event, which was sponsored by the college president’s office, drew at least 1,500 people, including students, faculty and residents of the area, to enjoy the festivities, even in light rain. Yongheng Zhang, a lecturer in mathematics at Amherst College, attended the event with his wife and son. “This event is excellent because it is organized not only for college students, but also for everyone, including kids. My son has played at the bounce house for one hour,” he said. Austin Huot, the director of conferences and special events for Amherst College, and Davis Bannister, the event coordinator, mainly organized City Streets Festival. Bannister’s goal was to bring students together and to represent all students’ identities with their national flags. “We got information about their nationalities from students’ database. We also did a survey and got some feedback,” Bannister said. “We found that we needed national flag of Tajikistan, but we did not have it. We just ordered a new flag and successfully put it on the wall,” he added. According to Huot, it is important to create an inclusive community because there are a lot of international students at Amherst College. People experienced international food for free. Chefs working at Amherst College dining hall served food from several different areas: Africa, Asia, Latin America, the United States, Canada and France. According to Stefania Patinella, the executive chef at Amherst College Dining Services, pork belly tacos and chicken tacos were the most popular foods, and people had to wait in long lines to get them. “Every single chef has his or her own role and is doing a great job, so I do not want to waste our efforts because of the weather,” she added. Amherst College students enjoyed their free food while also partaking in international cultures.